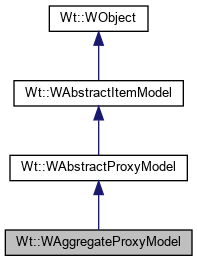 A proxy model for Wt's item models that provides column aggregation. This proxy model does not store data itself, but presents data from a source model, and presents methods to organize columns using aggregation, through which a user may navigate (usually to obtain more detailed results related to a single aggregate quantity). To use this proxy model, you should provide a source model using setSourceModel(), and define column ranges that can be aggregated using addAggregate(). This model does not support dynamic changes to the column definition of the source model (i.e. insertions or deletions of source model columns). Sets up the proxy without aggregation functionality. Adds a new column aggregation definition. 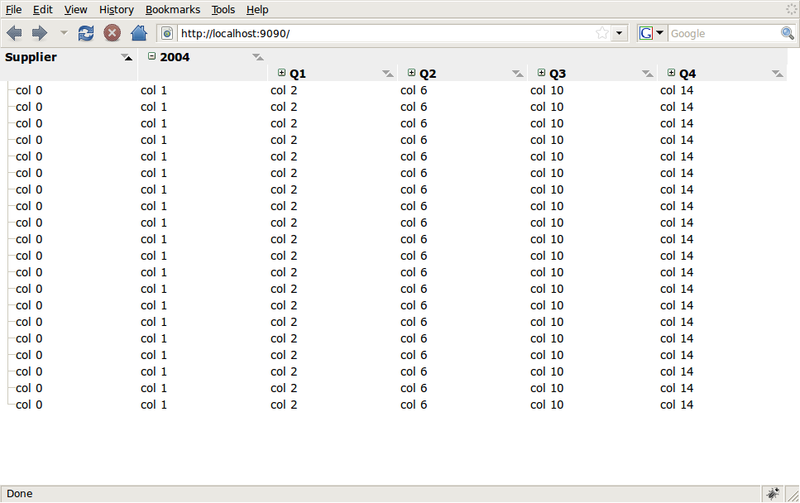 Note that column parameters reference column indexes in the source model. Aggregation definitions can be nested, but should be strictly hierarchical. The aggregate column will initially be collapsed. Only one aggregate can be defined per parentColumn.